Just Cause 4 is out now on PS4, Xbox One, and PC. 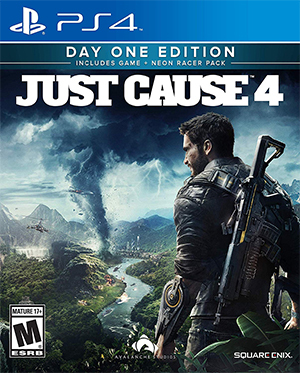 This time around, Rico Rodriguez is sent to the South American Solis region, but exactly how big is the Just Cause 4 map? Read on to find out where Solis sits not only in terms of Just Cause map size but in the video game climate at large. 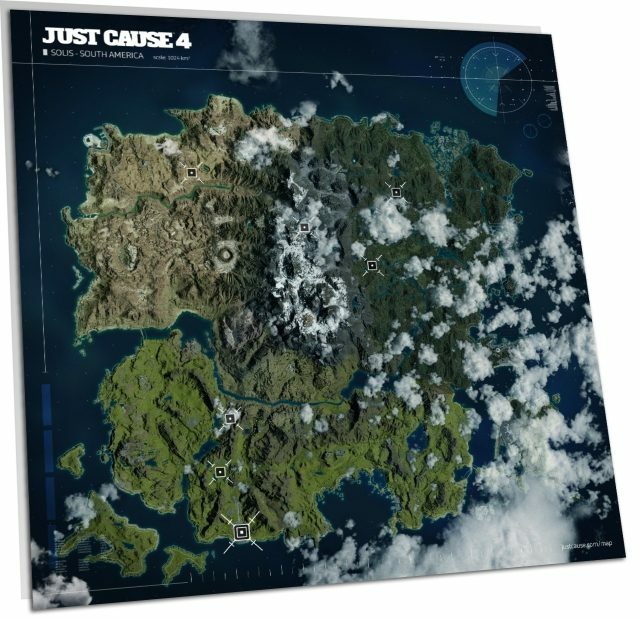 How Big is the Just Cause 4 Map? Solis is a very large map to explore in Just Cause 4. In total, Solis measures at around 1024 km². This means that in terms of total area, Solis is just a little bit bigger than Sao Tome and Principe and a little smaller than Martinique. To put that into perspective, Luxembourg, a well-known small nation, is around 2590 km². Great Britain measures in at around 244,800 km². So, while Solis is a very large map in terms of games, in reality, it would be ranked as the 182nd smallest country in the world. Just Cause 4 Map – Where Does it Sit in Terms of the Just Cause Series? Solis is a touch smaller than both the maps of Just Cause 2 (1035 km²) and Just Cause 3 (1036 km²), and around the same size as the original Just Cause game. While Solis is one of the smaller maps in Just Cause history, it should actually feel a little bigger in reality. 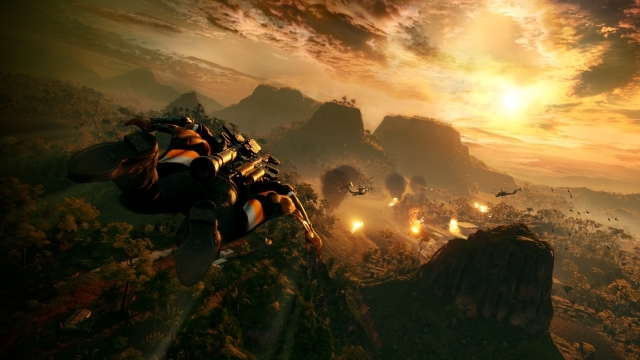 Just Cause 4 is largely dominated by land mass, whereas the larger Medici of Just Cause 3 featured far more water. Avalanche Studios and Square Enix are both proud of the map variation this time around, too. How Big is Solis in Comparison to Other Open-World Games? While Solis is one of the smaller maps in Just Cause history, it still stands as one of the larger game worlds out there. Solis is a big map, but it dwarfs in comparison to some of video game’s largest maps of all time. Test Drive Unlimited, for example, features a map that is 1600 km². By far the biggest map in video game history, however, is of Elder Scrolls 2 Daggerfall: 161,531.64 km². Nothing has even come close to that behemoth.